Couldn't make it to Cause Collab 2016 at the MadLab Theatre? Just enter your email address and receive videos of full sessions from the event. How can your organization adapt to changes in technology, government or the community in order to maintain relevancy for your audience? Learn how George Needham, director of the Delaware County (Ohio) District Library and his team have successfully adapted to change in order for their library to maintain relevancy in the height of a "Google-It" era. Is your organization prepared to handle an unexpected crisis? 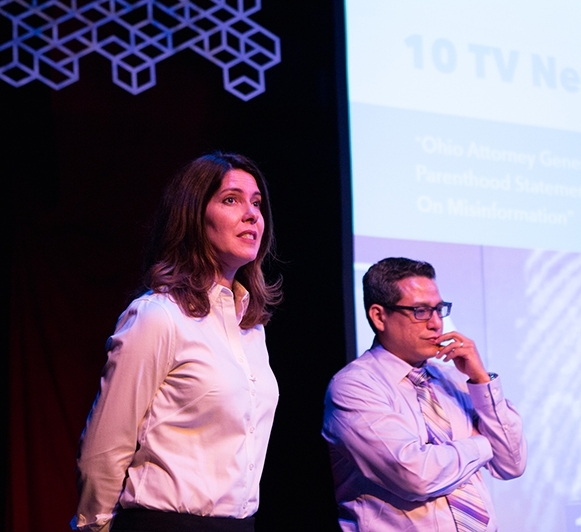 Board Chair, Jennifer McNally and Vice President of Engagement, Diego Espino, share the strategies employed by Planned Parenthood of Greater Ohio for maintaining your cool when your organization's "hair is on fire." Has your nonprofit been considering a transition into social enterprise? What does it take to become one? Hear the stories of Community Shares of Mid Ohio, IMPACT Community Action, and Gladden Community House as they discuss their journey to transition with moderator, and President of the Center for Social Enterprise, Allen Proctor.